I was recently part of a media tour in the Cape Winelands District Municipality. 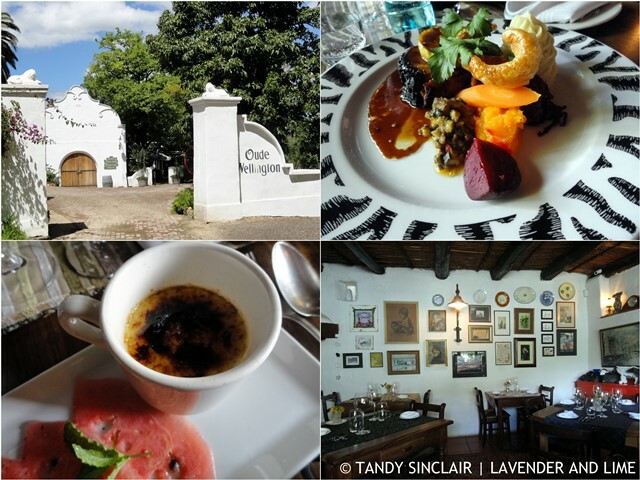 We covered Paarl and Wellington and here are a few snippets from our two days in the area. 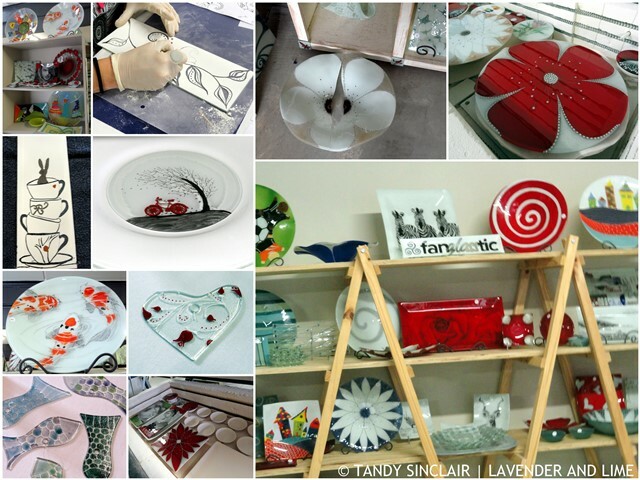 This family run business hosted us in painting our own glass plates. 3mm window glass is cut to size and then fused in a kiln to create a double layer. Once painted on, the glass is slumped (shaped) by resting it on a mould. I had so much fun accessing the arty side of myself. And if you don’t feel like the painting process, pop in to see what stunning glassware you can buy. 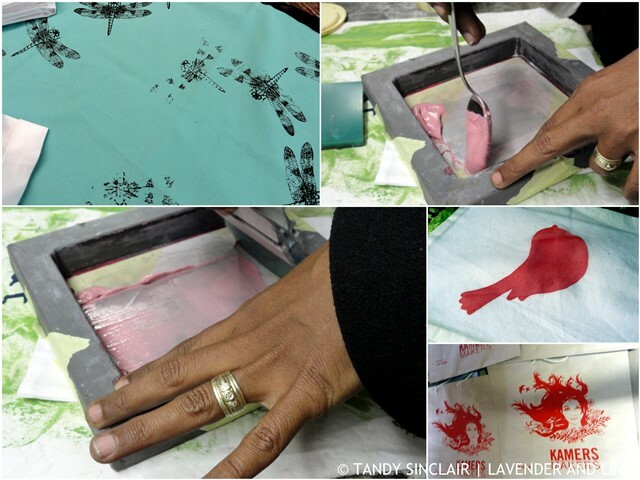 Fanglasstic offer workshops for between 6 and 12 people by appointment, or on allocated dates. They last for 4 hours and cost R380 which covers two pieces as well as snacks and drinks. The only downside is that the slumping procedure is overnight and unless you live close by you will have to make a return visit to collect your items, or arrange for shipping. This stunning 15 roomed guest house was once the original homestead of the Duke of Bedford. The main house is 200 years old and was revamped in the 1940’s when the Duke left England during World War II. The house went through a 2 year renovation period and opened 10 years ago as a guest house and spa, offering three meals a day to guests. Volker Goetze, the chef / owner, creates a new set menu for dinner each morning. He also produces his own olive oil from the olive grove planted by the Duke. We were offered tea, coffee and snacks before being shown the various room. We took a walk through the grounds to the spectacular waterfall. This 4 star venue is the perfect setting for a wedding, or a quiet getaway. 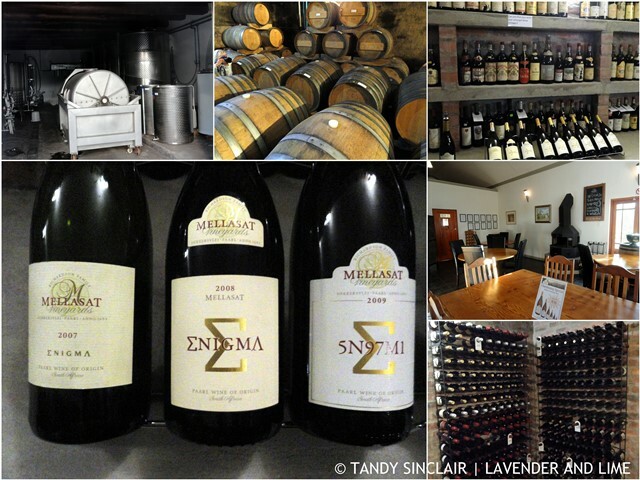 Steven Richardson is the owner, cellar master and wine maker at Mellasat. This small boutique winery is known as the home of the White Pinotage. The winery produces 40 thousand bottles of various wines per annum and in 2007 Steven decided to create a white wine from a pinotage grape. Berries are harvested in 3 batches to add different components at the time of blending. White juice is achieved by a light pressing and no skin contact. This juice is then left on the lees during fermentation. The wine is matured in anything from 1st full to 10th full Romanian Oak for 11 months and battonaged once a week for 6 months by rolling the barrels. We did a barrel tasting of the 1st and 3rd 2016 batches before moving into the cemetery of forgotten wines to taste the 2015 vintage. Jenny and Harlan Cloete open up their home twice a week so that visitors to the area can come and eat with Paarl People. This concept was inspired by their visit to The Netherlands and their aim is to connect people. Jenny does all the cooking, and Harlan most of the chatting and you will not be required to cook. But having a healthy appetite is mandatory. 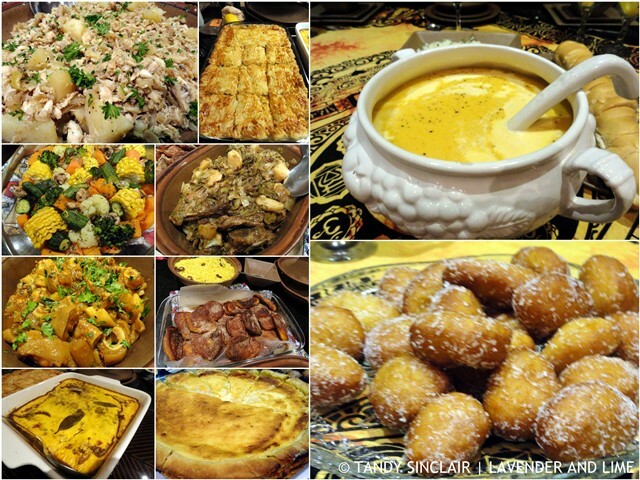 Jenny serves traditional Cape Malay dishes and for starters there is a choice of smoersnoek en rys or butternut soup. The main course of either bobotie met begrafnis rys or waterblommetjie bredie is served with a selection of vegetables. For dessert you can enjoy a delicious melk tert or coconut laden koesisters. The dinners are served Wednesday and Saturday nights at a cost of R175 per person which includes 2 glasses of wine. John and Susanna Tecklenburg are the owners / chefs of the restaurant at Oude Wellington. Susanna is a great hostess whose passion lies in making Brandy. They have been in business for 12 years and the menu changes seasonally with popular items being retained due to demand from regular diners. We were offered a choice of pork belly with an apple and soy glaze or Chalmar sirloin served with Parys butter. I went with the latter and a glass of Le Cave Pinotage. This was followed by dessert choices of crème brûlée and an espresso parfait served with a hazelnut syrup which was sublime. To end the meal I enjoyed an espresso served with a tot of the Dr. Schumacher fine 5 year old Potstill Brandy. Susanna offers a 5 course Brandy pairing with local Wellington Brandy’s at a cost of R250 per person. We entered the Breytenbach Sentrum through the tuin van digters which showcases poetry and statues from local poets and artists. On site there is a small dinner theatre, an art gallery, a tea shop as well as a second hand book store. The centre offers training and workshops in art, music and drama and one of these led to the formation of Prints. This self started business is involved with hand silk screen printing and at the time of our visit they were printing 8000 bags for Kamers Vol Geskenke. Fahema’s own motto is let the beauty we love be what we do. And what she does is truly beautiful. 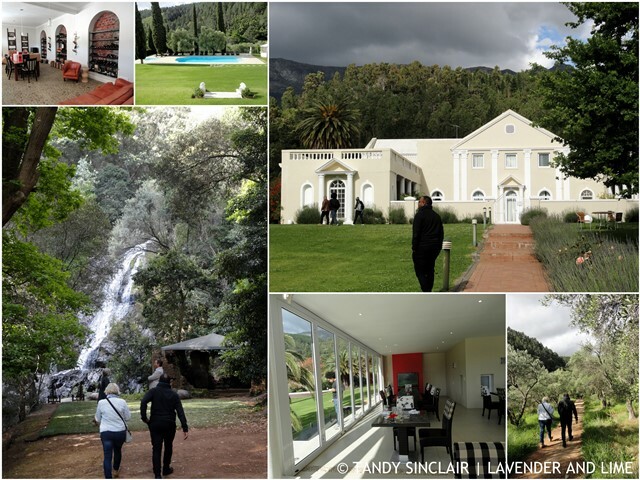 Disclosure: I was invited as a guest of the Cape Winelands District Municipality and I was not required to write a blog post about my experience. This post is in line with my blogging policy. What a lovely part of the world! My son was in South Africa for a couple of weeks earlier this year and loved it! I so need to come back. South Africa is such an amzing country! Hi Tandy, looks like my kind of place, the glass work is beautiful and the food wonderful. What a wonderful day for you! Those painted glass plates are so neat and beautiful. I’d love to try it out one day. Wow, what a fabulous place. Nice one, Tandy.